This past weekend, CIEE took us on a fun (and educational!) trip to 4 castles in the Loire valley. 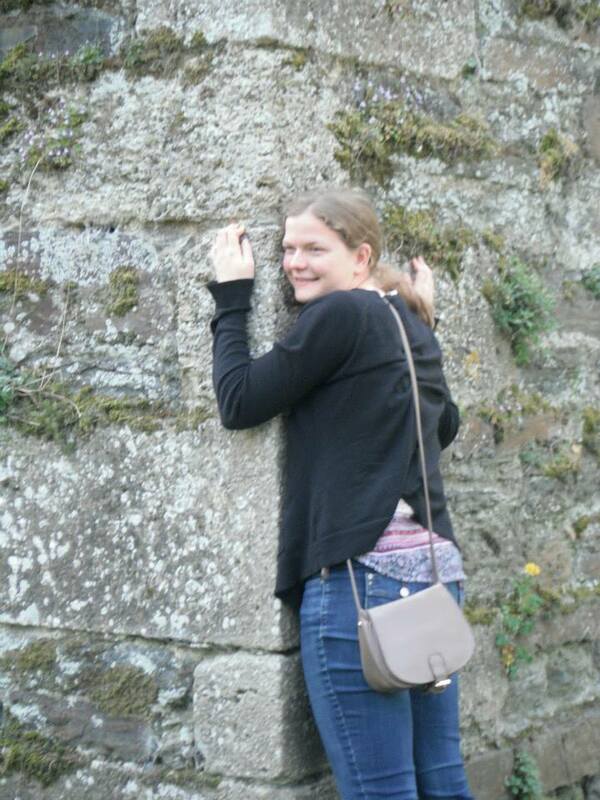 If anyone knows me, they’ll know I have a great love for old stone, so this excursion was right up my alley. Rock lasts for centuries, even millennia. It’s easy to picture all the historical figures who may have touched a cornerstone of a castle–both famous and common. Since the trip, numerous people have asked me which one was my favorite. But that’s such a difficult question! Each one was unique and I felt connected to it in a different way. We visited le Château de Brissac first, and I think it was a lovely place to start. Compared to the later castles we visited, Brissac was fairly small. But it felt the most like a Disney castle to me. I swear they turned Gaston’s tavern into the dining room. Even more interesting, a family still actually lives there! Brissac is particularly known for its ceilings, and I must admit, they set the tone for the rest of the weekend. I couldn’t stop looking up in the three other castles. Brissac also produces its own wine, and after our guided tour we were treated to a small wine tasting in the dungeon. This was followed by a stroll through the grounds in the sunshine. Villandry is a château best known for its vast and intricate gardens. At one point, the castle was in disarray and was actually saved by a couple comprised of a Spanish man and an American woman. 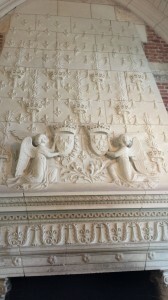 As such, there were many Spanish influences in the decor and in its small collection of art. The castle felt much like a manor house to me, and our self-guided audio tour concluded with free time in the grounds and gardens. The view from the hill was definitely the most breathtaking. We just stood and looked for a long time. Of course, one of the best-known Loire Valley castles is le Château de Chenonceau. We arrived first thing in the morning, and without the crowds of tourists it was easy to picture Henri II and Catherine de Medici (or Diane de Poitier, Henri’s mistress and favorite) walking down the path with us as we made our way to the entrance. By the time we left, however, the grounds were packed! And for good reason. I thought Chenonceau was the most beautiful castle we visited overall. Both its interior and exterior are uniquely stunning, and the grounds and gardens are also something to see. In the end, though, I have to say le Château d’Amboise ended up at the top of my list. Fitting, I’d say, as it was also the last one we visited. Not only was it gorgeous, it also had an incredible view of the town and river below and a lot of history behind it. The history made it stand out to me the most. Out of all the castles we visited, Amboise was the only royal residence. Charles VIII and Anne de Bretagne lived there, as well as Henri II, François I and Louis-Phillipe, the last king of France. Leonardo da Vinci is buried there too! 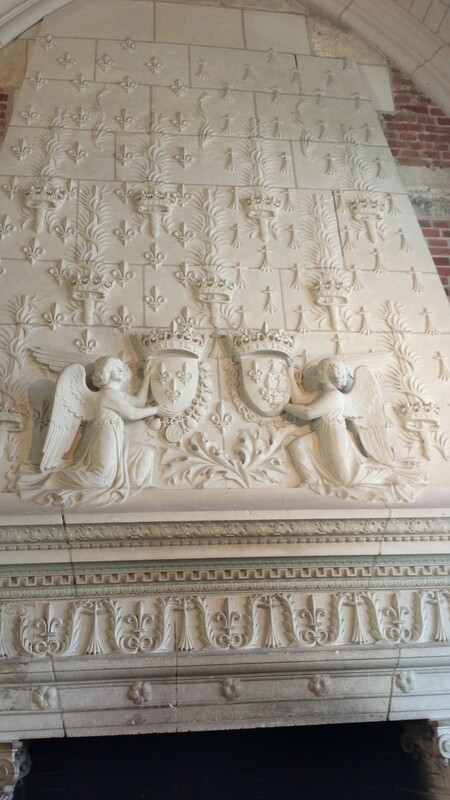 Because of the connection to Bretagne, the decor featured various combinations of the fleur-de-lis (symbol of the king of France) and the hermine (Bretagne’s emblem). All in all, this was a wonderful excursion. Learning about France’s history through its architecture made me appreciate the current culture even more. And knowing this was the last outing as a group gave the weekend even more meaning. We only have one month left!